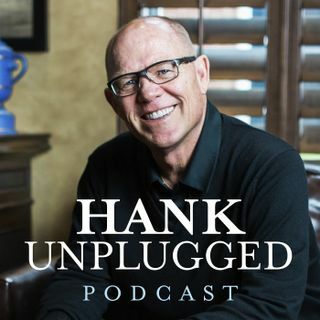 Hank is joined by Dr. Corey Miller, the president of Ratio Christi, a campus apologetics alliance encouraging and strengthening the faith of Christian students at universities around the world through the use of intellectual investigation and apologetics. Miller grew up in Utah as a sixth generation Mormon, but came to Christ in 1988 and has since authored several books, written for the Christian Research Journal and worked in a variety of ministerial roles, giving him a truly unique ... See More perspective. Topics discussed include: what is Ratio Christi? (3:30); understanding the difference between science and scientism, and why it matters (6:00); the positive and negative power of testimony and differences between Christian and Mormon views on testimony (11:30); the distinction between knowing God and showing God (17:40); Miller's background growing up amidst the pervasive culture of Mormonism in Utah, and how it shaped his life and love for learning (19:40); the role that dreams played in Miller's personal faith and transformation (25:35); does God use dreams to reveal Himself? (30:35); how the goal of life is knowledge of God (34:25); Miller's forthcoming book Moses, Maimonides, and Thomas Aquinas on the Good Life: From the Fall to Human Perfectibility (34:25); why Mormonism isn't a branch of Christianity, and why Miller thinks Mormonism is closer to Hinduism than Christianity (43:15); who is the angel Moroni? (49:45); how DNA evidence contradicts claims made in the Book of Mormon (51:45); comparing the archeological evidence confirming the Bible as opposed to the Book of Mormon (56:00); the Jesus of Mormonism and the differences that make a difference (58:00); Miller models the virtue of answering questions with "I don't know" and explains that the reason most Christians don't do evangelism is because they don't do apologetics (1:03:00); the huge number of contradictory splinter groups in Mormonism (1:07:40); why apologetics is essential to evangelism (1:10:00); the overwhelming amount of young Christians that lose their faith upon arriving at university because they aren't equipped to answer tough questions (1:14:15); and that the key to gaining a culture is by training the youth (1:18:00).